The MHSEA must seek school approval of its program on an annual basis. The following list identifies the schools from which the MHSEA has received program approval in the past. Participation in the MHSEA is not limited to students attending schools that have approved the MHSEA program. The MHSEA will seek program approval from any high school attended by a member once their registration is complete! Once school approval has been received by the MHSEA we will update the below listing with "2019 Approved"! Members who attend a school who does not approve the MHSEA program will still be eligible for MHSEA Year-end recognitions. Some schools require MHSEA members to also register with the school. The following list includes information as to registration requirements known to the MHSEA. The MHSEA will update the listing as new information is received from the schools. Please review your school’s requirements carefully and note that schools may have different and specific requirements. Unless specifically directed otherwise, DO NOT SUBMIT SCHOOL REGISTRATION FORMS TO THE SCHOOL! All school registration fees and paperwork (other than the MSHSL Sports Eligibility Physical forms) need to be submitted to the MHSEA with the member's Year-End Worksheet during October and no later than November 1st. Any MSHSL Sports Eligibility Physical forms should be submitted directly to the school. Andover - MHSEA equestrian program approved at this school since 2017! School Recognition: Equestrian is recognized as a Varsity Sport. MSHSL Sports Eligibility Physical IS required at the school - every three years! Anoka - MHSEA program approved at this school since 2017! Apollo - MHSEA equestrian program approved at this school since 2004! School Registration Requirements:School registration form & $20 check made out to the school. School registration takes place in October! Apple Valley - MHSEA program approved at this school since 2009! Blake - MHSEA equestrian program approved at this school since 2004! School Recognition: Participation Certificates - Equestrian is not recognized as a Varsity Sport. Centennial - MHSEA equestrian program approved at this school since 2014! Century - MHSEA equestrian program approved for 2017! School Registration Requirements: MHSEA members attending this school must attach a $30 check made out to the school and submit directly to the MHSEA w/MHSEA Year End Worksheet. School registration takes place in October! Chanhassen - MHSEA equestrian program approved at this school since 2011! School Registration Requirements: MHSEA members attending this school must COMPLETE THIS FORM, and attach a $20 check made out to the school and submit directly to the MHSEA w/MHSEA Year End Worksheet. School registration takes place in October! Chaska - MHSEA equestrian program approved at this school since 2004! School Registration Requirements: MHSEA members attending this school must COMPLETE THIS DOCUMENT , attach a $20 check made out to the school and submit directly to the MHSEA w/MHSEA Year End Worksheet. School registration takes place in October! Convent of the Visitation - MHSEA recognition only! Delano - MHSEA equestrian program approved at this school since 2004! Dover-Eyota - MHSEA equestrian program approved at this school since 2018! Eagan - MHSEA equestrian program approved at this school since 2009! Eastview - MHSEA equestrian program approved at this school since 2009! Eden Prairie - MHSEA equestrian program approved at this school in 2004! School Registration Requirements: MHSEA members attending this school must COMPLETE THIS FORM , attach a $30 check made out to the school and submit directly to the MHSEA w/MHSEA Year End Worksheet. School registration takes place in October! Edina - MHSEA equestrian program approved at this school since 2004! School Registration Requirements: MHSEA members attending this school must COMPLETE ThIS FORM, attach a $25 check made out to the school and submit directly to the MHSEA w/MHSEA Year End Worksheet. School registration takes place in October! Elk River - MHSEA equestrian program approved at this school since 2008! School Registration Requirements: MHSEA members attending this school must COMPLETE THIS FORM, attach a $20 check made out to the school and submit directly to the MHSEA w/MHSEA Year End Worksheet. School registration takes place in October! Farmington - MHSEA equestrian program approved at this school since 2014! - MHSEA equestrian program approved at this school since 2017! Hastings - MHSEA recognition only! MHSEA equestrian program approved at this school since 2014! John Marshall - MHSEA equestrian program approved for 2017! Kenyon-Wanamingo - MHSEA equestrian program approved for 2018! MHSEA equestrian program approved at this school since 2018! Lakeville North - MHSEA equestrian program approved at this school since 2010! School Registration Requirements: MHSEA members attending this school must register online, CLICK HERE! directly with the school, and pay the school's one time annual participation fee of $30, (if not already paid for another sport or activity). Print a copy of your school registration and attach to your MHSEA Year-End Worksheet!School registration takes place in Oct! Lakeville South - MHSEA equestrian program approved at this school since 2010! 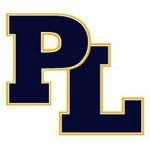 School Registration Requirements: MHSEA members attending this school must register online, (CLICK HERE)directly with the school, and pay the school's one time annual participation fee of $30, (if not already paid for another sport or activity). Print a copy of your school registration and attach to your MHSEA Year-End Worksheet! School registration takes place in Oct! Mahtomedi - MHSEA equestrian program approved at this school since 2006! Mayer Lutheran - MHSEA equestrian program approved at this school since 2014! Mayo - MHSEA equestrian program approved for 2017! Minnetonka - MHSEA equestrian program approved at this school since 2007! School Registration Requirements: MHSEA members attending this school must register online, directly with the school, and pay the school's one time annual participation fee of $75, (if not already paid for another sport or activity). Print a copy of your school registration and attach to your MHSEA Year-End Worksheet! School registration takes place in Oct! Mounds Park Academy - MHSEA equestrian program approved at this school since 2006! MSHSL Sports Eligibility Physical IS required at the school - 7th & 10th grades! Mounds View - MHSEA recognition only! New Prague - MHSEA equestrian program approved at this school since 2008! School Registration Requirements: Register online, directly w/the school and pay the $10 activity fee. Print a copy of your school registration and attach to your MHSEA Year-End Worksheet! School registration takes place in October! REGISTER WITH THE SCHOOL HERE! Orono - MHSEA equestrian program approved at this school since 2002! MHSEA equestrian program approved at this school since 2015! 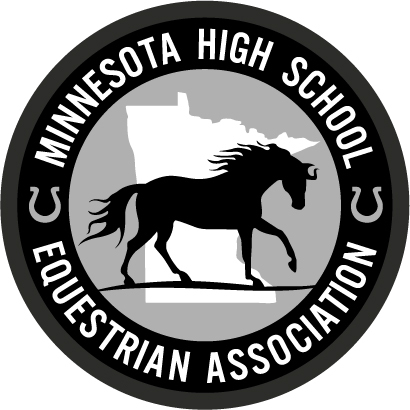 Prior Lake - MHSEA equestrian program approved at this school since 2016! School Registration Requirements: School requirements coming soon! MHSEA equestrian program approved at this school since 2016! School Requirements & Information: Click here for details! Rockford - MHSEA equestrian program approved at this school since 2012! Rogers - MHSEA equestrian program approved at this school since 2008! Rosemount - MHSEA equestrian program approved at this school since 2009! Saint Cloud Christian - MHSEA equestrian program approved at this school since 2007! Saint Cloud Technical - MHSEA equestrian program approved at this school since 2004! School Registration Requirements: MHSEA members attending this school must complete the MSHSL/Saint Cloud Tech Eligibility Form and attach a $25 check made out to the school and submit directly to the MHSEA w/MHSEA Year End Worksheet. School registration takes place in October! Saint Croix Prep Academy - MHSEA equestrian program approved at this school since 2014! Saint John's Prep-MHSEA equestrian program approved at this school since 2004! School Registration Requirements:School registration form. MSHSL Sports Eligibility Physical IS required at the school - every year! 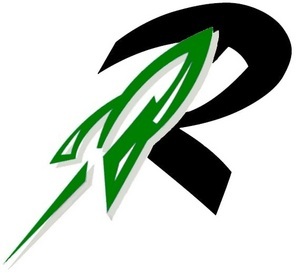 Sauk Rapids-Rice - MHSEA equestrian program approved at this school since 2010! School Registration Requirements: School registration form. Stillwater - MHSEA equestrian program approved at this school since 2002! Totino-Grace - MHSEA equestrian program approved at this school since 2016! Waconia - MHSEA recognition only! Wayzata - MHSEA recognition only! Westonka - MHSEA equestrian program approved at this school since 2016! Woodbury - MHSEA equestrian program approved at this school since 2012! Zimmerman - MHSEA equestrian program approved at this school since 2016!